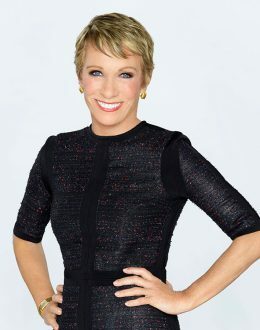 Barbara Corcoran’s credentials include straight D’s in high school and college and twenty jobs by the time she turned twenty-three. It was her next job that would make her one of the most successful entrepreneurs in the country when she borrowed $1,000 from her boyfriend and quit her job as a waitress to start a tiny real estate company in New York City. Over the next twenty-five years she’d parlay that $1,000 loan into a five-billion-dollar real estate business named The Corcoran Group. She sold the business in 2001 for sixty-six million dollars. Barbara is the author of Shark Tales: How I Turned $1,000 into a Billion Dollar Business, an unlikely business book and a national best seller. In it, Barbara credits her struggles in school and her mother’s kitchen-table wisdom for her success in the business world. The book is a fresh, frank look at how to succeed in life and business and is as heartwarming as it is smart and motivating. Barbara is a ‘shark’ on ABC’s hit reality show Shark Tank and the real estate contributor to the NBC TODAY Show. She publishes a bi-annual entrepreneur report on the state of small business in America and regularly appears as a business expert across all media. As a speaker, Barbara brings her front lines experience and infectious energy to her audience. Motivational, inspirational, and sometimes outrageous, Barbara Corcoran’s tell-it-like-is attitude is a refreshing approach to success.